Kevin Degnan, 2014 (Team Frenji)-Kevin was a relatively unknown going into today, but he impressed all in attendance with his performance against eventual 16U champion Rhode Island Hawks in the Elite 8. He’s a strong 6’7 wing who can literally score from anywhere; he knocked down three-pointers, constantly looked to penetrate the defense, ran the floor like a deer, and finished hard going to the rim. TEAM FRENJI Alumni DUSTIN HOGUE is thriving at Indians Hills CC. He is being recruited by Iowa, Iowa St., Oklahoma, Witchita St, Arkansas, Missouri among others. Dustin was named All Region 11 team along with 7 other players from IHCC. Hogue capped his freshman campaign with a season-high 25 points in the seventh-place game against Wabash Valley last Saturday. His season averages were 11.1 points and 5.5 rebounds. He actually had more offensive rebounds than defensive boards. More updates on the way this spring & summer. TEAM FRENJI ALUMNI 6’5 PF Terry Brutus exploded onto the scene when he transferred from NY to Massanutten Military Academy in Woodstock, VA. The small forward from Spring Valley, NY was in the final stages of his recruitment had has narrowed his extensive list down to four. According to his former AAU coach and mentor, Mike Moore, Brutus is currently on an official visit. “He’s at Ole Miss right now and loving it down there,” Moore said. Moore said that Brutus would be taking an official visit to Illinois on Sunday and will be returning on Tuesday. “Right after that, he’ll probably make his decision,” said Moore who added that Brutus will not be visiting Kent State. Brutus said it ultimately came down to Ole Miss and the Illini. “Coach [Andy Kennedy] wants me to be an offensive threat and also motivate the team on defense,” he said. Moore said that he’s delighted that Brutus transferred and reached his full potential under Massanutten head coach Chad Myers, opting to wait a year and go prep before making his college choice. Chima Azuonwu (Team Frenji 2014) – Another monster of a young man, Azuonwu is huge. His game is in its very early stages and he certainly won’t wow you with a developed skill set but he still has major upside. Azuonwu impressed by doing nothing more than running the floor and being big. His main highlight came on a 2 handed power dunk off a drop step but in reality basketball skill has very little to do with Azuonwu’s evaluation at this time. He needs coaching and practice but a man of his size certainly has a chance to play basketball for a long time. Kevin Degnan (Team Frenji 2014) – Degnan didn’t excel in any one area but did a little bit of everything and ended up having a major impact on his team. The 6’6” stretch 4 made some shots, helped break press with his handle, showed solid vision and passing skills for a big, and competed on the backboards. After making an impression last summer and throughout the regular season, the rising senior’s high school coach is expecting even bigger things next season. During the summer, James will be playing for the New Heights AAU program and Stepinac head coach Tim Philp is expecting an even better version of the combo guard to emerge by the Fall. “He has to work on his consistency and get physically stronger and quicker,” said Philp. According to Coach Philp, James already hold a bevy of offers fromQuinnipiac, Stonybrook, Albany as well as MAAC schools, St. Peter’s, Canisius, Iona and Manhattan. 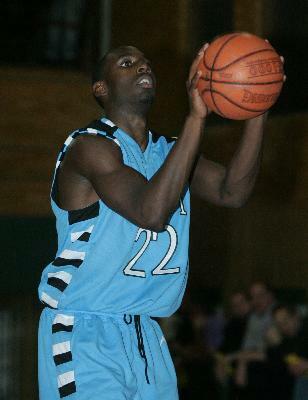 In addition, James has significant interest from Lehigh, UMass, American East and even Harvard, Yale and Columbia. Coach Philp said that St. Bonaventure and George Washington have also recently come on board. “Josh has already taken some unofficial visits to local schools,” said Philp citing Manhattan, Iona, Quinnipiac and UMass. With New Heights’ aggressive schedule throughout the summer, Coach Philp said that he doesn’t expect James to take any more visits until after the AAU season. “Perhaps in August or September,” he said. After the summer, Philp said that he’s expecting his star guard to display even more leadership than he did last year. “Absolutely 100%. He’s gonna have to take the team on his back at times [next season] just likeMalik Gill did [for Mt. Saint Michael]. With all the school that will be watching James this summer, he will need to rise to the occasion.